Learning objectives: Recognize the role of skill testing in relation to certification. Review the development and implementation of the Colorectal Objective Structured Assessment of Technical Skill (COSATS) exam. Understand the psychometric requirements of a high stakes assessment tool. 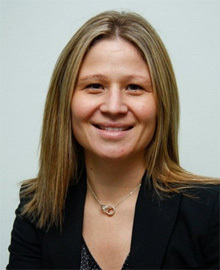 Sandra de Montbrun graduated from the University of Toronto’s Medical School in 2000 and completed her general surgical training at Dalhousie University in Halifax, Canada, earning certification from the Royal College of Physicians and Surgeons of Canada. At the University of Toronto she completed a clinical fellowship in colorectal surgery in 2010 and a Master of Education in 2012. She is currently a colorectal surgeon at St. Michael’s Hospital and Assistant Professor in the Department of Surgery at the University of Toronto. She is also a PhD Candidate at the University of Toronto’s Institute of Medical Science with a research interest in surgical assessment. de Montbrun SL, Roberts PL, Lowry AC, Ault GT, Burnstein MJ, Cataldo PA, Dozois EJ, Dunn GD, Fleshman J, Isenberg GA, Mahmoud NN, Reznick RK, Satterthwaite L, Schoetz D Jr, Trudel JL, Weiss EG, Wexner SD, MacRae H. A novel approach to assessing technical competence of colorectal surgery residents: the development and evaluation of the Colorectal Objective Structured Assessment of Technical Skill (COSATS). Annals of Surgery. 2013 Dec 1;258(6):1001-6. Hong J, de Montbrun S, Roberts P, MacRae H. Assessing technical competency during colon and rectal surgery. In Press, 2015. Seminars in Colon and Rectal Surgery. de Montbrun S, MacRae H. Simulation and Minimally Invasive Colorectal Surgery. Seminars in Colon & Rectal Surgery. 2013 Mar;Volume 24, No 1:53-60.
de Montbrun SL, Macrae H. Simulation in surgical education. Clin Colon Rectal Surg. 2012 Sep 1;25(3):156-65.